Do you have an idea that you need a web based solution for? It is the brainchild a lab technician who, together with Datadial has developed a simple and clear system that organises science departments within schools and colleges. LabLogger takes the strain off coordinating experiments and eliminates paperwork and long email chains. By taking care of the administrative side of science, you can focus your attention where it is needed most.  LabLogger integrates lab management onto a single online platform – our easy-to-navigate, user-friendly site centralises all experiments, scheduling and stock-list data. This allows technicians to plan their time and equipment as necessary, and gives teachers the freedom to submit their requests at school or at home! To find out more please have a look at the video below. LabLogger is a unique website aimed at making lab management in schools easy and straightforward. This is a complex application allowing science teachers to request equipment for experiments for their class. Built bespoke for the client we ensured that it had world wide compatibility for all school types and time periods. It’s now being used by schools around the globe.